Thorner: Are the issues of racism and white supremacy being exploited in your school district? The upscale community of Lake Forest remains in a turmoil over what was to be a fast-track approval at a hurriedly arranged 7:00 a.m. Special Meeting of Lake Forest Board of Education District 115 on Tuesday, May 26, to discuss the hiring of Dr. Chala Holland, an African American administrator now serving as assistant principal at Oak Park and River Forest High School, as the sole candidate for the position of principal at Lake Forest High School. Ms. Holland was picked from a pool of 25 candidates. Eight were interviewed, culling the pool down to three. Through interviews conducted by teachers and administrators, Holland was chosen as the finalist. The LFHS principal search began in March of this year to replace Barry Rogers (LFHS also has an assistant principal) who resigned from his LFHS position after only two years of what had been a successful tenure. Roger’s resignation was followed in short order with his appointment to another administrative position, that of an Assistant Superintendent of Curriculum, a shared position in Lake Forest Districts 67 and 115. Although the administration tried to keep Dr. Holland’s name a secret, even stating in an email to parents on May 25 that “it remains by necessity and law a personnel matter required to be confidential”, this was not to be. The leaking of Holland’s name as the administration’s #1 choice for principal happened on Friday, May 15. It didn’t take long until concerned citizens in Lake Forest, wanting to know more about the administration’s #1 candidate for principal, used Google as their search engine. Links to Dr. Holland’s Facebook page, her website’s consulting firm of Holland Educational Consulting Group (HECG), and other social media accounts were found and examined. Most disconcerting is that less than 24 hours after the Google search began all of Ms. Holland’s information had been scrubbed from the Internet. Among the more inflammatory remarks on a recovered cache of erased Holland posts, doubly offensive because of the job Holland is seeking, purports that “tracking is a beacon of white privilege and institutionalized racism.” Regarding tracking, it separates children into various groups backed on their ability in coursework specific to AP honors, college prep and remedial. A February 22, 2014 post on the HECG Facebook page showed an image of Malcolm X with this overlay quote in white letters: “Only a FOOL Would Let His Enemy Teach his Children.” Another HECG website post of January 1, 2013, focused on academic tracking, how it perpetrates racism in schools, and about white privilege and internalized racism. The initial secrecy over principal candidate Chala Holland (pronounced Shay-la, who was in the audience at the Tuesday morning special board meeting), was further compounded by what the Internet search revealed. As would be expected, the information spread quickly through social media. Accordingly, the stage was set for a standing room only, vocal crowd that filled the District 115 Board of Education meeting room at its Lake Forest West Campus on Tuesday, May 26. Public interest was further enlisted through the initiative and courage of a LFHS Freshman who started an online petition late on Saturday, May 23rd, requesting signatures of those protesting the hiring of Holland. By the morning of the special board of education meeting, Tuesday, May 26, over 546 signatures had been collected. A bright, posed and well-spoken young man offered these comments during the time of public comments on Tuesday, May 26. According to information received from “Open The Books” (A Project of American Transparency), following are the 2014 base salaries for 1) Superintendent Michael Simeck ($204,598); 2) Barry Rogers when principal at LFHS ($206,945); and the present assistant LFHS principal ($204,598). Forty percent of teachers and administrators at LFHS receive salaries at the $100,000 to $100,125 level, while 21% are compensated at the $125,000+ level. These salaries represent only “pensionable” salary — the annual amount that figures into the eventual calculation of the employees retirement annuity and are not total cost which includes perks and pension benefits. The board and superintendent Michael Simeck listened to more than two dozen comments from residents of the community, as well as colleagues and neighbors of the candidate. Comments were limited to three minutes; audience members were requested to hold their applause. Some booing did erupt, which the board president nipped in its bud, when non-residents used the podium to speak in defense of Ms. Holland. Despite rhetoric relating how successful Ms. Holland was when employed in Evanston and now at Oak Park High School, it was concurred that Lake Forest residents should be given the priority in speaking. As one Lake Forest resident remarked, “Outsiders need not preach to us, for how can they know what is best for the community of Lake Forest? One non-resident even suggested that Lake Forest, as part of a Global Community, must adapt to what is a changing society. Residents offering comments were respectful in how they addressed the board, often expressing gratitude for the work of school board members. Two resident speakers did suggest that Superintendent Simeck resign from his position. Following the public comments the board and the administration went into executive session. Announced after the meeting was reconvened was that the discussion about Chala Holland’s candidacy would extend for several more days. Another public meeting will be held sometime between the evening of June 1 and the board’s regularly scheduled meeting on June 9th. What happened in Lake Forest is an example of what grassroots activism can do through social media to rally individuals together for a common cause. Although the saga continues in Lake Forest, it remains troubling that Chala Holland seems to view tracking as some kind of a white supremacy thing. She might even be described as a revolutionary intellectual if her views weren’t in sync with what is so prevalent in today’s society by those on the Left: an obsession by white supremacy and racism as a reflection of the ills of society. Although offensive, this thought process does not describe Lake Forest High School, or the community as a whole, with its mostly white population. 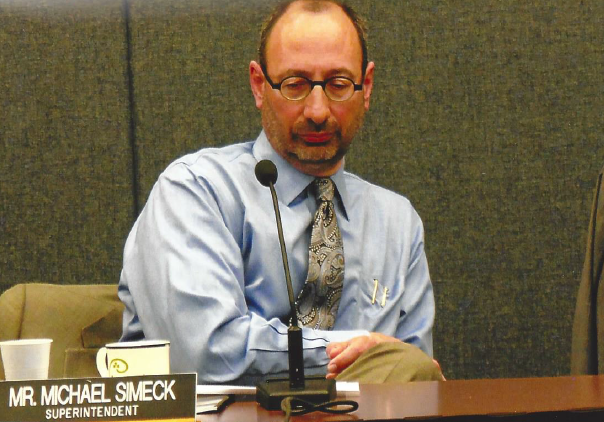 It would not be impertinent to inquire whether Superintendent Michael Simeck is attempting to implement a major culture shift at Lake Forest High School? Cultural shifts through experimentation that propose to bring fairness to all, especially to those perceived to be poor and less fortunate, are taking place across the spectrum of American society. Public schools are not excluded from the perceived leftist philosophy that white students must be made to understand that being white is not a sign of privilege. It is through hard work and effort that LFHS students do well academically, not because most of them are white. Superintendent Simeck seems eager to jump on the band wagon for social reform. The question remains how to fit a square peg in a round hole if the board and Superintendent go their own way and hire Dr. Chala Holland as principal of Lake Forest High School. The author would like to hear how other school districts in Illinois are dealing with the issues of white supremacy and racism. King vs. Burwell is the latest legal challenge to ObamaCare (Affordable Care Act) before the U.S. Supreme Court.The group behind the suit is the Competitive Enterprise Institution, an advocate for limited government and individual liberty. Represented by the institute are four Virginia resident who say they don’t want to buy the insurance required under Obamacare.Because haste and carelessness ensued in writing and passing Obama Care, federal agencies must now step outside their legal authority to clarify some of the words used in the convoluted bill. At issue in King vs. Burwell is the legality of the billions of dollars in subsidies being doled our though federal exchanges in about 35 states who refused to set up their own exchanges. It is these four words, “established by the state” that could either make or break Obamacare. The statute does say that people qualify for credits when buying insurance on an exchange. Challengers contend, however, that the four words under scrutiny establish that subsidies for insurance can only flow though exchanges “established by the State”, and that federal subsides given to individuals in states without state exchange are illegal. 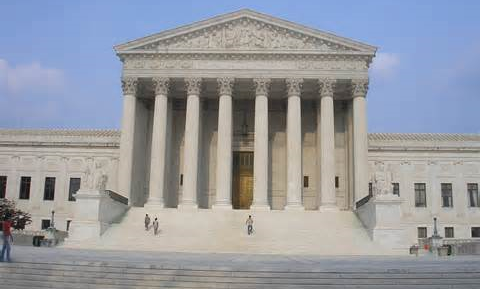 It’s a toss up which way the Supreme Court will rule on the Obamacare subsidy issue. If they decide the wording prevails, then subsidies are gone and with it the basis for insurance exchanges. What do the Republicans do? With this in mind Democrats will most likely sit tight and demand that the Republicans pass a “clean” bill which reverses the questioned wording in the ACA, restoring the status quo. This is notwithstanding that limiting subsidies to state established exchanges was deliberately inserted by the Democrats to dangle a carrot encouraging the states to accept responsibility for the exchanges and doubling Medicaid in the process. The ACA was passed by the Senate, completely rewritten by the Democratically controlled house, returned to the Senate and “deemed” acceptable by Harry Reid without debating the changes on the Senate floor. This was done in the middle of the night on Christmas Eve, because the new Republican Senator from Massachusetts, Brown, broke the Democrats’ hold on the Senate. The Democrats will, of course, blame Republicans for the loss of the ACA sugar, and refuse to consider any changes to ACA. Unless McConnell uses the “nuclear option”, anything other than a “clean” bill will never even be debated in the Senate. Even so, Obama will certainly veto anything which diminishes his “legacy” health care bill. Why does Obamacare suddenly become too expensive for 11 million citizens in the exchanges? Mainly because the ten coverage mandates double the cost of health insurance, in particular, coverage for pre-existing conditions and eliminating lifetime caps on payouts. The real debacle starts in 2016, with implementation of employer mandates, which will affect between 70 and 80 million citizens who currently have employee benefits. The ACA defines “full time employment” at 30 hours/week or more, instead of the current 40 hours. This means millions of part-time workers will be fired or their hours cut back 25% or more. The coverage mandates will increase the cost to employers (except for the self-insured, like Abbott), resulting in cutbacks in coverage, increase in co-pay costs and doubling (or more) of annual deductables. Furthermore a 40% “Cadillac tax” will apply to nearly every benefit package, prompting further cutbacks. One of the goals established for ACA was to cover the 30 million citizens without insurance. There are still $30 million without insurance, perhaps more. Despite the cockiness of the Obama administration in having no Plan B ready to implement, and in further believing that the Supreme Court will look beyond the “established by the state” wording to the rest of the act and its broad purpose of providing coverage to tens of millions of uninsured Americans, both sides can find reasons for hope. The four liberal ideologues on the court have already decided that way, leaving Justices Kennedy and Roberts to go either way. Chief Justice Roberts remains the trump card. Will Roberts base his vote on maintaining the court’s institutional integrity out of concern that striking down the law would be seen as a political decision, or will Roberts adhere to the statue’s wording in a non-constitutional case? Meanwhile, Republicans are eager to show they have a Plan B. Republican governors are scrambling to come up with a response should the Supreme Court invalidates subsides that help millions of their states’ citizens buy health insurance ObamaCare, perhaps making it more difficult for the GOP to rally around a single solution.Reps. Paul Ryan, John Kline and Fred Upton wrote an op-ed in the “Wall Street Journal” on March 2 in which they proposed an “off-ramp out of Obamacare,” that would allow states to opt-out of insurance mandates and offer options for those who can’t otherwise afford insurance. Sens. Orrin Hatch, Lamar Alexander and John Barrasso wrote in the “Washington Post”, they too would help those who can’t afford coverage during a “transitional period” and let states create alternative marketplaces. Thorner and Ingold can think of a few changes the Republicans can propose and defend, if they have the backbone to do so and make a real case to the public. Hold fast on elimination of subsidies based solely on income in Federally run exchanges. Alternately, issue a temporary continuance so that people are not penalized for Obama’s mistakes. Eliminate the barriers to multi-state exchanges. The current practice panders to nanny states like New York and California who think they know best. Eliminate the employer mandate before it takes effect and drives unemployment through the roof. The 50 employee threshold will “Francify” the U.S. and create a nation of small employers (like France) who can’t afford to grow, against a background of super-corporations who have the resources to flourish under government control. Eliminate the automatic filibuster threshold of 60 votes. If Democrats want to filibuster, let them stand and talk until they drop, then take a vote, or simply vote for cloture. Let Obama take the heat for vetoes, not Congress for inaction. In the recent past, Republican leaders have withered against a unified Democratic minority. We can’t let the Democrats win victory after victory. Thorner: Will dollar signs supersede consequences of further pot legalization? Shortly after his swearing in as governor, Governor Rauner picked up the task fumbled by Governor Quinn by telling General Counsel Jason Barclay to move ahead on the authorization process to establish a list of growing and dispensary centers for marijuana. Using the set of standards provided in the medical pot law, Rauner’s office released a list of 18 approved centers where cannabis will be grown, and 52 approved sites where medical pot will be distributed in Illinois. Yet to be resolved is how the cannabis seeds will legally be able to enter the state of Illinois. According to federal law, it is illegal to transport marijuana seeds across state lines. Even though the so-called “Medical” Cannabis Pilot Program has yet to begin, State Senator Michael Noland (D-Elgin) has introduced legislation (SB 753) which would legalize the possession of 30 grams of marijuana and 5 plants for anyone over 21 years of age. In the Illinois House, State Representative Kelly Cassidy (D-Chicago) has introduced legislation (HB 218) which would lessen the criminal penalties of recreational marijuana possession of 30 grams or fewer to a $100 ticket and a petty offense. In their attempts to dismantle drug laws, have Senator Noland and Representative Cassidy ever considered what constitutes 30 grams of marijuana? Thirty (30) grams of marijuana makes 75 joints. The street value of one gram is $10. Five (5) plants can produce 1,120 grams of marijuana, enough to make 2,800 joints and the street value is approximately $11,200. Unfortunately the legalization advocates are winning the debate as they are organized and well-funded. Disturbing is that the public is not being sufficiently informed about the harm of marijuana. Even Colorado’s left-leading Democratic Gov. John Hickenlooper, whose state was the first in 2012 (along with Washington state voters – and now Alaska on 2/25/2015) to legalize recreational pot for adults 21 and older, has said he thought the legalization of pot in Colorado was a bad idea. What is happening in Colorado since it legalized the possession, sale, and consumption of marijuana? With the passing of Amendment 64, adults 21 or older in Colorado can legally possess one ounce (28 grams) of marijuana or THC. Check here to read Amendment 64. Posing a serious danger to children are marijuana-infused edibles designed to look like products that would appeal to children. In Colorado 45% of its marijuana market is edibles. The response time when ingesting edible marijuana takes 30-60 minutes, while when smoking pot there is an almost immediate reaction of between 10-15 seconds. Because of the slow onset of action by marijuana edibles, users are prone to repeat the dose and risk taking too much and accumulating lethal amounts of THC in the body. One in six children who use marijuana will become addicted, and with regular use, may suffer the loss of six to eight IQ points. Marijuana THC concentrations now exceed an average of 10 percent. Some marijuana samples show THC concentrations exceeding 30 percent. Marijuana has an addiction rate of one in every eleven adults who have ever tried it – or one in six adolescents who have ever used it. A lie often advanced by those pushing to legalize pot is that prisons are filled with pot users, resulting in our correctional system being overwhelmed with people arrested for smoking or possessing marijuana. The Office of National Drug Control Policy dispels this myth. Will the disturbing outcome of Colorado’s marijuana legalization slow down the push to legalize marijuana here in Illinois beyond that of medicinal use? or will the recognition that pot is big business by legislators throw all caution to the wind as the thought of future tax revenue supersedes all else? Drug policy should be based on hard science and reliable data. The data coming out of Colorado points to one and only one conclusion: the legalization of marijuana in Colorado is terrible public policy. Do Illinoisans really want the same for their state? Stop these bills by calling your state representative and senator, asking them to vote NO to SB 753 and HB 218. The Capitol Switchboard can be reached at (217) 782-2000 to request to be connected to your state representative and senator. Responding to an invitation to attend a public forum in the auditorium of Deerfield High School (District 109) hosted by state representative, Scott Drury (D-58) through his legislative office to discuss Senate Bill 16 on Thursday evening, October 23, the authors of this article attended as constituents of Rep. Drury. Noted was that SB16 has driven more communication to Drury’s office than has any other issue in the past month. Among the 50 or so individual attending the Drury event were invited superintendents from Lake Forest School District 67, Michael Simeck; Lake Bluff Elementary School District 65, Dr. Jean Sophie; and Highland Park High School District 113, George Fornero. IL State Representative Scott Drury (D-58) does not support SB16 (School Funding Reform Act of 2014), which was passed in May of this year by the super majority Democratic Senate. If enacted, SB16 would make sweeping changes in how the state funds education and its apportionment among school districts. Those school districts with higher assessed property values would receive less state funding, while other districts (like Chicago and in downstate Illinois) would receive a sizable increase in funding, in an attempt by state legislators to provide greater equity among school districts across the state. Although the House will not be officially voting for SB16 until sometime in November following the fall election in the Lame Duck session, Rep. Drury affirmed to those present at the forum, as in prior confirmations, that he would be voting “no” on SB16. Lake Bluff Elementary School District 65: -$416,620, 72% cut. Lake Forest School District 67: -$689,758, 66% cut. Lake Forest Comm HS District 115: -$519,707, 64% cut. Bannockburn School District 106: -$78,442, 71% cut. Deerfield School District 109: -$1,248,269, 68% cut. North Shore School District 112: -$2,581,405, 78% cut. Township HS District 113: -$1,384,322, 68% cut. According to Rep. Scott Drury, It would cost affluent school districts in Lake County approximately $7 million a year in state funding. Although it would not diminish the amount of money schools get through their known property taxes, it would redistribute the amount of the state income tax that Illinois collects and earmarks for education. As to the chance of SB16 passing in its present forum, Drury believes it highly unlikely (SB16 is 450 pages long. “Yes” votes from 118 representatives would be needed to pass SB16.). 1. Michael Lubeefeld, Ed.D., Superintendent of Deerfield Public School District 109 (pre-kindergarten through 8th grade). Mr. Boer also serves as a Member of the Performance Evaluation Advisory Council, or PEAC, a 32-member body appointed by the Illinois State Board of Education to create a new way to evaluate teachers and principals that incorporates student growth measures. Nicki Blazer, the state board’s general counsel, views the current state funding formula as flawed. In general, SB16 sets out to equalize disparity in the distribution of funds from the state between school districts that have ample resources and those that are challenged. One problem about the current state funding is that sixty-seven percent of the districts in the state are deficit spending. The state board, consisting of 9 members, provides a recommended budget for the state to fund schools, which is close to $1 billion. Robert Wolfe, Blazer’s colleague at the State Board of Education, explained how the new formula would give a more equitable distribution to more school districts throughout the state, although, admittedly, at the expense of the more affluent school districts in Lake County. Accordingly, those that have more resources available at the local level would get less funding from the states. This would bring up the rest of the state with 82% of the funding now being equalize. There are weighted categories in SB16 for deciding the amount of state money a district will receive, among them the number of low income students, non-English speaking students, pupils with disabilities, advance standing pupils, gifted education pupils, and career pathway completion. Ben Baer, as director of policy for Advance Illinois, expressed how the differences in funding by school districts make state funding a vexing problem. Those districts having a lower tax base to draw upon — school districts are funded basically through property taxes — need more state funding as they lack the local resources to provide an adequate education. Illinois has the highest education gaps by income, higher even than its racial gaps. As expressed by Baer: “All lose when our students with the greatest needs lose.” Because of the fiscal insolvency of Illinois the amount of state aid has shrunk in the past 10 years. About the iPad, although invented only four years ago, Lubelfeld called it a necessary tool that must be made available to each student as a way “to raise the floor of education, not lower the ceiling.” Superintendent Lubelfeld, not comfortable in being a loser, is involved in the collaboration of the ISA, ISBO, and IARSS as they work through Vision 20/20 (focused on funding) to come up with a call for action. Ben Baer from “Illinois Advance” presented costs for education that were half of what can be observed in “Illinois Pension Scam”. Pertaining to Lake Forest District 115, the stated $21,976.81 cost per student is more like $40,000, or almost double the cost given by Advance Illinois per Lake Forest High School student. In Township HS District 113, if the -1,384,322 cut under SB19 were divided among its 3,700 students, the cut would amount to $374 per student. The central location of education in Drury’s 58th legislative district is Highland Park High School. Years ago students from Lake Forest and Lake Bluff came to Highland Park for their high school education. This could be one school district again with one superintendent. At present there are 5 superintendents serving individual school districts located in Lake Forest, Lake Bluff, Highland Park, and Deerfield. If school districts have surplus buildings, they should be made available to competitive schools to improve education in the area. Nothing in the forum spoke of vouchers or charter schools. Nothing spoke of eliminating laws which force higher costs to education such as the prevailing wage law. Nothing spoke of the large corporation who is exempt from paying real estate taxes. The cuts noted if SB16 were to pass, could be offset, in part, if the number of superintendents, assistant superintendents, principals, assistant principals, and other supervisory positions were greatly reduced, along with their substantial salaries. Unnecessary administrative costs add to the burden of tax payers, when fewer individuals at the administrative level could adequately handle the work load. Thorner can vouch for Lake Forest District 115 and Lambrecht for Township HS District 113, as to the amazing number of supervisory positions (and unnecessary) that exist in their respective school districts. It would be interesting to learn how state funding is being used by the affluent schools in Rep. Drury’s 58th legislative district. Voting “No” on SB16 is the politically expedient thing for Scott Drury to do when school administrators are belly aching over possible cuts in state funding. Since it is children we are talking about and their education, I doubt if the children attending the affluent schools located within Rep. Drury’s 58th district would suffer if state funding were reduced, but it stands to reason that in poorer school districts, some extra money could make a big difference. Thorner: One-party monopoly: Status quo unacceptable in Illinois! Are things really all honky dory in Illinois as Governor Quinn would have us believe? Here are facts about Illinois that were not manufactured to spin the truth, but which represent solid research by reputable organizations and government agencies. Illinois is in crisis. Illinois is dead last of all 50 states in recovering from the Great Recession. • Illinois work force suffered the largest monthly workforce loss in recorded state history in June of this year. • Food stamp growth has outpaced new jobs in Illinois by nearly 2-to-1 in the past four years. • Sky-high property taxes make home ownership a pipe dream and the job market is terrible. The bleeding is bad; on net, 1 person leaves Illinois every 10 minutes. • Youth and minority workers have been hurt most by the state’s ongoing policy errors. • The result of Illinois’ anti-business environment and tax-hiking ways is a recovery that is estimated to drag on for seven more years — and that’s just to get back to the number of Illinoisans who were working in January 2008. Here are three candidates running for state office in northern Illinois who want to shake up Springfield. They deserve your vote. Don Wilson — Challenging Democrat State Senator Terry Link, District 30. Dr. Mark Neerhof — Challenging Democrat Rep. Scott Drury, District 58. Leslie Monger — Challenging Democrat Rep. Carol Sente, District 59. Let’s return Illinois to its once grandeur as the “Land of Lincoln” and to a state we can all be proud of to call home. As President Obama considers sidestepping Congress to loosen U.S. immigration policy, a Reuters poll shows that 70 percent of Americans are deeply worried that illegal immigration is threatening this nation’s culture and economy. Because Congress cannot agree on comprehensive immigration reform with amnesty as its goal, Obama is threatening to act alone in the next few weeks through an executive order to give work permits to up to five millions undocumented immigrants and delay some deportations. A report in September of last year indicated that 11.7 million illegal immigrants are residing in the U.S. In Illinois the illegal immigrant population has remained constant since 2010 at 550,000. Although the unemployment rate in Illinois dropped to 7.1 percent in June of this year, (not counting those individual who have stopped looking for jobs), it was still 1.0 percentage points higher than the national rate for the month. The state’s dismal employment picture isn’t helped in that, according to FAIR (Federation for American Immigration Reform), 394,015 jobs were held by illegal aliens in 2013. If five million illegal immigrants are given work permits through an executive order signed by Obama (which many feel is illegal because it would bypass Congress), not only would it be easier for these illegal aliens to be hired, but it would also signal to others crossing the border illegally that in time they too will be so honored. The cost already spent per year by Illinois tax payers on its illegal immigrant population is $4.6 billion, with $2.6 billion alone going to educate the children of illegal immigrants. Of concern is that the Department of Justice doesn’t have receipts for half of the unaccompanied alien children who were apprehended at the southwest border by Border Patrol during fiscal year 2013 and fiscal year 2014 through June. Government records show there were 85,000 apprehensions with only 41,592 total receipts marked as juvenile in immigration courts. Of these 41,592, very few will keep their court dates. Despite this lack of documentation, most of the unaccompanied children so far crossing the border from Central America will never be sent back, as they fall under the bipartisan William Wilberforce Trafficking Victims Protection Reauthorization Act of 2008. Children have been coached to game the system, having been schooled on the magic word to say something along the lines of “asylum,” or “political asylum” or to say “fighting in my home country.” By so doing they quality for refugee status and will remain the burden of tax payers for many years to come. Why then did Chicago Mayor Rahm Emanuel on July 29 ask the Department of Homeland Security to send at least 1,000 more illegal immigrant children to Chicago where they will be housed, clothed, fed, schooled and legally represented for free, when the city is already caring for more than 500 of the kids in secret facilities. Is anything really for free? Some of the recent illegal immigrant children are suffering from drug resistant tuberculosis, dengue fever, swine flu and other infectious diseases. They will soon be attending public schools throughout this nation. The illegal immigrant “children” also include MS-13 gang members, who say they are 16 but are really much older. Shouldn’t citizens have some say in who enters this country and stays? With a debt of $17 trillion dollars, this nation can ill afford to bear the costs associated with illegal immigrants. Although the unaccompanied children do arouse feelings of compassion, there are millions of needy and poor children in this nation in need of help. This is the humane thing to do as our federal government is facing a rapid and unsustainable growth in debt and the American people are over-burdened with taxes. This entry was posted in Arguments, Letters to the Editor. Bookmark the permalink. California ‘May Issue’ Law Overturned: How Will Illinois Fare? In a landmark decision the 9th US Circuit Court of Appeals ruled that California’s “May Issue” concealed carry law is unconstitutional, by a vote of 2 to 1. The County of San Diego was sued by Edward Peruta and others after being denied a license to carry a concealed handgun for personal defense. According to California law, the applicant must show a “good cause” for the license, in addition to a clean criminal record and good moral character. In southern California and San Francisco, very few people qualify under the “good cause” requirement, which is determined at the whim of the Sheriff of the county. In practice, only a few politically connected people receive a permit in populous counties, including Senators Diane Feinstein (D-California)) and Barbara Boxer (D-California), both strong advocates of gun control in Congress. 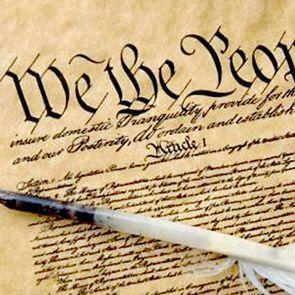 The 9th USCCOA (California) joins the 7th court (Illinois) in upholding the individual right to bear arms in public. On the other hand, the 2nd (New York), 3rd (New Jersey), and 4th(Maryland) courts have decided otherwise. In their decision, the 9th court examined the historical significance of the right to bear arms in great detail, and soundly criticized the 2nd, 3rdand 4th courts for ignoring the legal history, and deferring to the “wisdom” of the respective state legislatures. The court questions whether restricting the right to free speech (the 1st Amendment) to persons with a demonstrated need, certain times or certain subjects would be permitted under the Constitution. They go on to say that the 2nd Amendment is just as fundamental as the 1st, and simply codifies a predated freedom enjoyed by citizens. It is likely that California will appeal this decision, first to try the case en banc (typically 11 members of the 30 member circuit). This is almost never granted, and if granted seldom overturns the tribunal. The next and obvious step, considering the split between Circuits, would be an appeal the US Supreme Court. While there are no guarantees, based on the majority opinions in Heller v District of Columbia and McDonald v Chicago, the court is likely to concur with the 7th and 9th Circuits. This would strike down the highly restrictive “may issue” laws in New York, New Jersey, Maryland, Massachusetts and Hawaii, allowing their citizens the right of self-defense. While the decision of the 9th Circuit does not directly affect Illinois, their careful analysis lays the foundation for a closer examination of restrictions on where a citizen can bear arms. The Heller and McDonald decisions established a clear concept of the fundamental right to keep arms for the defense of one’s home and property. Decisions of the 7th (Illinois) and 9th Circuits establish the fundamental right to bear arms, in public, for self-defense. While no right is without limitations, the courts argue that enumerated rights can only be restricted if there is an overwhelming benefit to the public, not just some demonstrable need. It is logical that limits on where this fundamental right to bear arms should be subjected to the same strict standards. In Heller and McDonald, the Supreme Court recognized that some places may be reasonably restricted, like courts of law certain government buildings and schools. As the 9th so eloquently stated, these are suggestions, not mandates, and allowance of some restrictions does not mean any or all restrictions are justified. In the debate leading to passage of HB183, there were many floor amendments added to restrict where weapons were allowed, which seemed to derive from an endless wish list. Libraries are prohibited, even though no acts of violence were cited (nor can be found). Public Transportation makes the list, even though attacks on innocent citizens are common, and the assailants ignore even existing laws. Chicago Forest Preserves are carved out, but not Forest Preserves in other counties, state and local parks, trails and DNR areas other than designated wildlife preserves. Most of these issues will settle out naturally, once the public sees that CCL holders are not the villains, and the real villains have much more to fear than bystanders. That has been the evolution of laws in other states, and Illinois will no doubt follow. Where there are egregious violations of second amendment rights, we can expect the legislature and courts to intervene, and more large checks granted to the plaintiffs. Part 2: Will recreational marijuana be next in Illinois? Although Colorado on January 1st went a few steps beyond the rest of the 19 other states and the District of Columbia that have legalized cannabis (marijuana) for patient use, Illinois, in what was noted as the most high-profile of all the new laws taking effect in the state, on January 1st became the 20th state to legalize medical marijuana. It was on August 2, 2013, that Governor Quinn signed the bill legalizing medicinal marijuana at the University of Chicago Center or Care and Discovery. After decades of resistance, a long-time sponsor of bills to legalize marijuana for medical purposes, Lou Lang (D-Chicago) finally got the votes he needed when several Republicans joined forces with Democrats to pass medical marijuana, disregarding fears expressed by law enforcement officials that unused pot will be sold to teens. Also noted at the time were the mixed message it would send to kids, and the problem facing suburban zoning boards who’d rather not have pot shops pop up on Main Street. As related in the Chicago Tribune, January 1st ushered in the official start of a four-year trial program that would allow patients with certain chronic illnesses to obtain a prescription for medical marijuana (Marijuana possession remains a federal crime until Congress changes the Controlled Substance Act which is supposed to trump state law.). Even so Illinoisans sick enough to quality for using the drug may have to wait months before they can begin to do so. Rules are now being worked out by the Department of Public Health, the Department of Agriculture, and Department of Financial and Professional Regulation that must be submitted to a bipartisan legislative panel by May 1 for clarification of the law. Fine tuning will include: Ailments covered beyond the 40 explicit conditions spelled out in the law, who can apply for licenses to open a dispensary or cultivation center, and what constitutes a physician-patient relationship. Until formulated and submitted, full implementation of the medical marijuana program is likely to be delayed until the fall or winter of this year. Supporters insist that Illinois’ medical marijuana law is among the toughest in the nation. Twenty-two grow centers will be set up (one for each state police district) and 60 dispensaries spread throughout the state. State regulators will determine where growers and sellers locate. Although many suburbs in Thorner’s home county of Lake — in anticipation of the law’s directives — have already put in place strict zoning laws to limit where marijuana could be sold or grown, local officials can’t prevent such businesses from opening in their towns. When medical marijuana card holder “patients” are legally able to get the product, they will be allowed up to 2.5 ounces every two weeks. Also permitted is the buying of marijuana baked into brownies and muffins, etc. Patients will pay a 1 percent tax on the purchase of cannabis, as they would when buying other medications. On the business side, the state will impose a 7 percent tax on cultivation center sales. The proceeds will be used to underwrite the costs of running the medical cannabis program. If any money is left over, it’s supposed to be used on crime prevention programs. Compassion and mercy, not the ill effects that young people could experience when smoking pot, dominated the thoughts of more than a few of the nine Illinois House Republicans who stepped forward to give State Rep Lou Lang the votes he needed to legalize medical pot in April of last year. This included Tom Cross, then Republican Minority Speaker of the House. We see that adolescents are at a very vulnerable stage neurodevelopmentally. And if you throw stuff into the brain that’s not supposed to be there, there are long-term implications for their development. Consider also this study published in March of 2013 from the National Institute on Drug Abuse, which documents marijuana’s lasting effects on the brain. Evident is that Illinois legislators of either party didn’t consider this or any other study for guidance on how to view the medical marijuana issue before voting to sanction medical marijuana. The message inherent in multiple supporting studies is clear. Regular marijuana use in adolescence is part of a cluster of behaviors that can produce enduring detrimental effects and alter the trajectory of a young persons life and cause long-lasting changes in the hippocampus, a brain area critical for learning and memory. 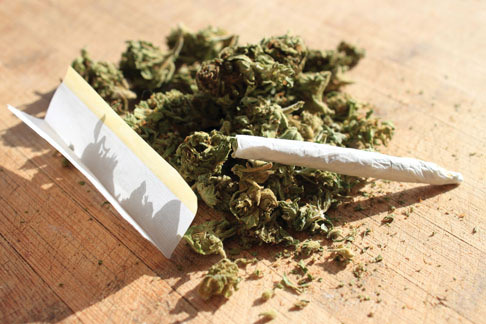 Teen marijuana use is linked to school dropout, other drug use, mental health problems, etc. But why dwell on teen use of marijuana during their high school years, as children under 18 in Illinois can’t be prescribed pot for pain as a patient? The following should serve as a wake up call. The proportion of American teens who believe smoking pot is harmful has been declining for the past several years, as it has with adults. This trend has resulted in a steady rise in the use of the drugs by teens. The current number of regular marijuana users (about 1 in 15 high school seniors in 2013) and the good possibility of this number increasing with marijuana legalization, makes it imperative not to divert attention from the central point, that regular marijuana use stands to jeopardize a young person’s chances of success — in school and in life. And what about the 2-1/2 ounces of marijuana available for purchase every two weeks for medicinal purposes? This amounts to two small sandwich bags of marijuana. …with cannabis at an average potency, 1.25 ounces could make 75 joints per weeks, or over 10 joints a day. 10 joints a day is unusually high for even the most experienced pot smokers, according to a poll taken on Cannabis.com. Since Illinois is Illinois, with a stellar history of corruption, it is not unreasonable to predict that situations involving fraud, unscrupulous doctors, and the sharing of unused marijuana with teens by patients will be the products of Illinois’ New Year’s medical marijuana law, despite supporters who insist the law is among the toughest in the nation. Crime surrounding the legalization of medical marijuana on January 1st has already begun. On December 17 state regulators alleged that a doctor misled potential patients by offering “pre-approval” for medical marijuana through a Chicago clinic. CNS News reported in October of this year that according to the U.S. Treasury the government’s federal debt had jumped by $409 billion. This equals approximately $3,546 for each of the Census Bureau’s estimated 114,663,000 U.S. households, and makes October’s spending the largest one-month jump in debt in this nation’s history. What is troubling is that Congress is not currently restrained by a debt limit. Since October 17 when Congress enacted the Continuing Resolution (CR) with a deal that ended the government shutdown and pushed the debt ceiling level to February 7, 2014, no set dollar amount exists to restrict spending. With nothing to stop legislators from piling even more spending and debt on taxpayers before February 7, 2014, it is folly to believe that legislators will restrain their spending, nor have they done so. Noted was how an additional $409 billion of debt was accrued through the end of October. While on October 17 the debt subjected to limit stood at $16,699,396,000,000, just $25 million shy of the legal limit of $16,699,421,095,673.60, by October 31 the debt now subject to limit had grown to $17,108,378,000,000. Troubling is that even with this nation’s credit card maxed out (along with taxpayers’ wallets), Washington aims to continue its spending spree. Instead of addressing future debt by controlling the growth in entitlement spending and enforcing lower levels of spending, the budget conference committee is considering an option that could increase spending by up to an additional $100 billion; that is, if a compromise deal can be fashioned to bust the sequestration spending caps by up to $100 billion. An increase in user fees (really a disguised tax increase) would be employed to offset mandatory spending with necessary revenue. Although gimmicks are nothing new in Washington, D.C., raising user fees to pay for more spending is what has helped fuel our now $17.2 trillion national debt. Each Illinois family shoulders this debt = over $40,000 per household Moody’s rates Illinois as the worst credit risk of all the states in the nation, which raises the cost of borrowing money, which, in turn, adds billions of dollar in the repayment of bond issuances. All of Illinois’ neighboring states were in the top half of Chief Executive Magazine’s 2012 list of best states for business. Illinois was rated third worst. The state’s unemployment rate, consistently the highest in the region, is evidence of that ranking’s accuracy [Since 2008, Illinois has lost the third most jobs by state in the country]. Businesses in Illinois suffer under some of the highest workers compensation insurance rates in the country, and in 2011 they saw their income tax rate jump from 4.8 percent to 7 percent — a 46 percent increase [Illinois’ Corporate tax rank is now 45th in the nation]. Later on today Illinois legislators will address in a one-day special session a pension reform deal crafted by the Illinois House and the Senate. Numerous reports about the bill leave much to be desired, making today’s exercise seemingly geared to convince the pubic that legislators are finally taking the state’s $100 billion pension shortfall seriously. According to a report by Ted Dabrowski, Vice President of Policy at the Illinois Policy Institute, House speaker Mike Madigan’s latest proposal is just the next in a long line of disastrous pension maneuvers and does nothing more than delay real reform and keep Illinois in a chronic state of crisis. In typical Illinois fashion, little advance information was shared with the media, the public, and legislators about a bill so critical to the financial well-being of this state. Just what might be the language of a bill that is being kept under wraps until only hours before legislators cast their votes? 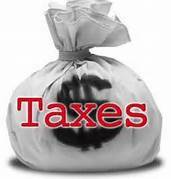 In addition to federal and state tax obligations, there are also local taxing bodies that make financial demands. Significant is that Illinois has more “local” governments than any other state in the country, 6,963, which is one-thousand more than any other state when factoring in state population. As it is, Illinois residents pay the second-highest-owner-occupied property tax rates in the country, and their state is the third most corrupt. Having so many units of government at the local level put taxpayers on the hook for unnecessary layers of government that duplicate services and cause taxes to soar. It is not uncommon for Illinois residents (61% of them do) to live under the burden of three levels of local government (municipal, township or county government), resulting in a huge outlay of funds allocated for salaries. Lake County in northern Illinois, Thorner’s home county, ranks No. 1 for the Midwest region on Forbes’ list of U.S. counties with the highest property taxes, the average being $6,052. Thorner also lives under a township government, that of Shields, in addition to her Village of Lake Bluff. In Shields Township a whole department exists to handle the scattered township roads and bridges whose trucks criss-cross the same area when snow plowing far fewer mile, than do municipal trucks. Also adding to the tax burden at the local level are the high number of school districts in Illinois, 911 in all. Two hundred of them are single school districts. These single districts (Lake Bluff Elementary School District 65 is a single district) cost more per student to educate than do multi-school districts. Federal, state, and local tax liability has become a burden to many. Often asked is how much is too much to pay in taxes? Although little can be done to fight taxation at the state and federal levels, citizens have more of a say at the local level. Unfortunately many officials are opposed to doing away with the positions they hold, either elected or appointed, even if they hold positions that duplicate work done by others. And so our tax burden continues to grow to keep the hungry beast that is government fed, with many legislators indifferent about the way taxpayers’ money is wasted and spent as long as it suits their own political interests to be re-elected, thereby ensuring that they will continue to enjoy all the attractive perks they have grown so accustomed to receiving over the years. Illinois Representative Jeanne Ives (District 42- R), in her Veto Session Half-Time Report, described the time spent as just typical days of minimal activity. There was no serious pension reform, but there were increased spending requests, and discussions of tax incentives for large corporations to entice them to stay in Illinois. To add insult to injury, Illinois has the worst-funded pension system in the nation ($100 billion and rising) with only 39 cents in assets for every $1 of obligations. Shouldn’t the state of Illinois be reckoned with as a state having a financial crisis of gigantic proportions, given that the state is estimated to be $5.4 billion behind in paying its bills and where more than 20 percent of its budget is devoted to public employee pensions. Additionally, Illinois also has the second highest unemployment rate in this nation. Credit downgrades in recent years, based upon pension debt which places Illinois’ credit rating at the bottom of all 50 states, certainly gives credence to the urgent need to do something and NOW! The consequences of Illinois’ low credit rating is that the state must pay more interest when borrowing money. Also to be remembered is that in 2011 Illinois raised its income tax rate from 3 to 5 percent to pay down the billions owed in its backlog of bills, only to have the increased revenue go toward required pension payment. It may not be the No.1 priority of the public because they don’t understand the significance of how this crisis affects the operation of state government, but those of us who know the state budget know this is essential because you wouldn’t have enough money to pay for health care or education. Quite frankly, I don’t think you can use the word ‘crisis’ to describe it at the state. It’s something we have to deal with, but it’s not something that we’re on the verge of bankruptcy on. Even though Cullerton is correct that states can’t file for bankruptcy, cities can. Chicago does need pension reform at the state level to avoid becoming the next Detroit. Cullerton then went on to tell Rick Pearson that the real agenda of those who brought “pension crisis” into the Illinois government vernacular had nothing to do with getting more money into education funding or other essential government functions, but instead about allowing the income tax to fall to 3.75% as scheduled in 2015. Just how did we get in today’s pension crisis? And Illinois does have a pension “crisis, and it is an accurate term. The aim of pension reform is not to punish public employees or to force them to share the pain of those in the private sector who have seen their retirement plans dissipate in recent years. Instead, it’s about balancing state government priorities while ensuring the solvency of retirement funds on which public employees depend. What are some of the most egregious mistakes leading to this present pension crisis? Over generous promises like a 3% annually compounded cost of living adjustment approved in 1989. Failing to make payments to the pension funds that would have kept them securely funded. Sometimes the unions now blaming lawmakers for shorting payment to pension funds were the biggest cheerleaders for skipping payments. SB 27 passed on Memorial Day Weekend of 2005, stiffed pension funds by $2 billion. Supporters claimed that the worthwhile reforms it did contain would realize savings at $30-$40 billion through 2005, making it no big deal to replace the $2 billion. That $40 billion in predicted saving somehow grew into a $100 billion pension debt eight years later. Since 2009, both school funding and payment to the disabled have been cut steadily as pension payments have chipped away at the state budget. Illinois computes its retirees’ annual pension raises using compound interest instead of simple interest because Governor Thompson signed the bill into law in 1989. A 10-member conference committee is now working on a reform plan whose savings would fall between what the competing Cullerton and Madigan bills are projecting. Democrat House Speaker Madigan’s bill would take an estimated $27 billion off the $100 billion pension liability and save taxpayers an estimated $250 billion through 2045, bringing all five of the state’s public employee pension systems to 100 percent funding. Democrat Senate President John Cullerton’s bill, supported by public employee unions, would save $46 billion and bring the system to 90 percent funding. According to Chicago Tribune reporter, Ray Long, a pension deal remains elusive, at least during the fall veto sessions, as politics has the upper hand. Any vote likely to take place would fall only weeks ahead of the deadline for candidacy petitions to be filed for next year’s election. Then too, Democrats don’t wish to alienate their traditional Democratic allies of government-worker unions. Meanwhile, Republicans are voicing proposals for workers to be able to opt into a 401 (K) style plan, for there to be a minimum guarantee cost-of-living increase at 0.5% instead of 2%, and that retirement age be raised. The latter is a non-starter for Democrats! Especially aggravating is the fact that one sensible pension reform option is not even being considered Senate Bill 2026 was proposed by the Illinois Policy Institute because it would pass constitutional muster, would immediately cut Illinois’ $100 billion unfunded pension liability by nearly half, and would protect the benefits earned to date by current government workers. Future benefit would accrue in new defined contribution plans. Sponsors of the proposed Illinois Policy Institute pension reform solution in the House (House bill 3303) were Representatives Tom Morison (District 54 – R) and Jeanne Ives (District 42 – R). With a backlog of more than six months of unpaid bills, the worst credit rating in the nation, and the worst funded pension of any state, and given that revenue projections show that Illinois may have $382.5 million more in tax revenue this fiscal year than was originally projected, any clear thinking and insightful legislator would reason that this Christmas tree-like monetary gift to Illinois from taxpayers should be used to pay down Illinois’ backlog of bills. Cook County wants $30 million to promote Medicaid enrollment. The American Federation of State, County and Municipal Employees wants $112 million in pay raises — promised by Gov. Pat Quinn and approved by a judge — but not yet funded by the General Assembly. The Department of Corrections wants $40.5 million to pay a lawsuit and back bills. Right now, Illinois spends 24.3% of all its state-generated revenue on it pension payments and that number is climbing. A lot of people mocked Squeezy the Python last fall, but the message was true. Our spending on pensions is way out of proportion with what a government should be spending. It’s increasing ever year and squeezing out funding for essential functions like education. In 1996, pensions accounted for 3.6% of revenue. Think about that. From 3.6% to 24.3%. By what measure is this a sensible allocation of state revenue? More bad news was related to Dietrich by way of the Civic Federation, which projects Illinois will be $5.8 billion behind in paying its bill at the end of the current fiscal year. (This month’s projection noted earlier was $5.4 billion.). Perhaps even more unsettling is the shortfall or loss of an estimated $54 billion in revenue for Illinois should the partial sunset of the 2011 tax increase take place as scheduled halfway through fiscal year 2015: a personal income tax rate reduction from 5 to 3.75% and a corporate tax rate reduction from 7 to 5.25%. Even an optimistic forecast on savings from a pension reform bill would only amount to $750 million to $1.5 billion. Republicans candidates for governor who favor a partial sun-setting of hiked 2011 income tax rates, need to present a specific plan on how they would deal with the massive $54 billion in revenue loss that would encounter in the wake of the sunset. A leadership deficit in Springfield is hurting Illinois taxpayers at a cost of at least $5 million per day. Each day that goes by adds another $5 million in interest payments on our pension debt. Yahoo! Finance: Illinois has most threatened state pension plan in U.S.